Football team –club or national- is one of the most popular themes of t-shirt here. 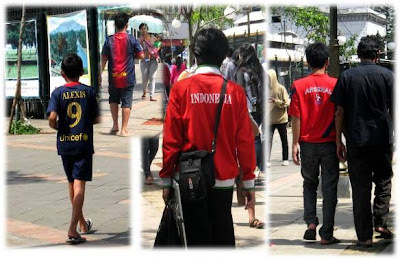 I saw many men walking on a pedestrian street near the Bogor Train Station wearing football team t-shirts. Some of them have red touches. Sports jerseys are popular everywhere it seems.